I’m in a car, bouncing along a road in the Solomon Islands, a South Pacific country made up of more than 900 islands and atolls. If it weren’t for the potholes, cavernous pits slowing us down on the road to Honiara, on Guadalcanal, the largest of the islands, I wouldn’t have missed the turnoff, or the sign on the tree, “Dolphin View Cottage.” It took Andrew to point it out. 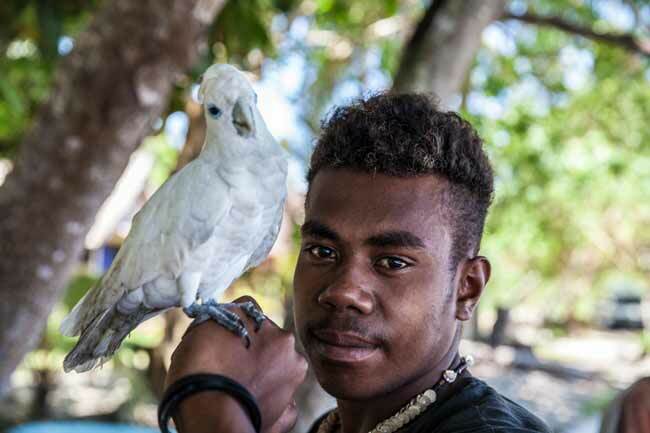 Beyond the cottage, Tohabellana’s two teenagers lounged on a picnic table near the beach, playing with a pet cockatoo. Behind them, Iron Bottom Sound, the water graveyard of 50-odd American and Japanese ships, stretched away to the horizon and Savo Island, a faint shape on the water. For a couple of minutes, the two men talked, speaking pijin so softly I missed most of what they said. Then Tohabellana turned, switched to the King’s English and offered a handshake. A name and a friendly handshake are de rigueur in Guadalcanal, deep in the South Pacific. Being American counts, too, especially here, where 5,800 Americans were killed or injured defending the islands during World War II. That friendship remains. But most islanders are looking forward. A tall order, indeed, in one of the world’s most diverse places. Most people are Melanesian, speaking pijin and English, the legacy of former British rule. 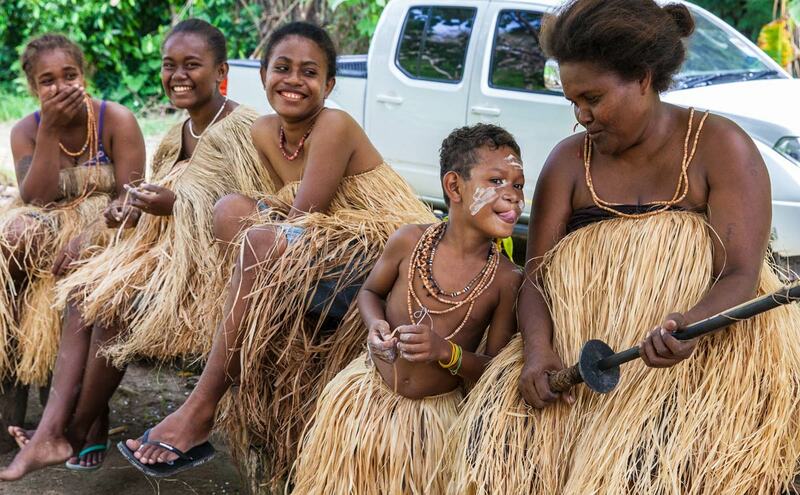 But with 75 different spoken languages, villagers’ lives are shaped by local customs. Some people wear grass skirts and depend on shell money for barter or as a bride price; others are proud to count headhunters among their ancestors. A lucky few own speed boats. But most rely on the “mola,” a homemade dugout canoe, their only transportation to nearby islands. 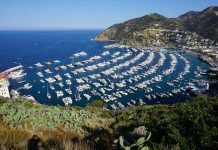 Tourism is in its infancy, in fact, with an annual visitor count of just 24,000, surprising for the South Pacific’s second largest nation bigger than Fiji, French Polynesia, the Cooks, Samoa, Tonga or Vanuatu. But getting there was surprisingly easy. We took a nonstop Fiji Airlines overnight flight from Los Angeles to Fiji’s Nadi International Airport, catching the Solomon Airlines flight on to Henderson Airport, in Honiara, the capital. If you think you’ll use your phone, look for the local phone company’s “tourist special,” offered at the airport: it’s SIM card for U.S.$1.30, loaded with 75 minutes. “That store, where everybody shops, is owned by a Chinese company,” he pointed out, nodding at a modern, two-story building. It reminded me of Chinese-owned businesses I’ve seen in Zambia: build a customer base, then move on to the copper mine. I searched in vain for something American to brag on – a business school or a hospital – but Andrew had already turned off to Bonegi Beach, now a famous wreck-dive site. After stops at the Memorial Garden cemetery and the American War Memorial, the tour ended at Bloody Ridge, a grassy hill overlooking the ocean. Nothing there, no signs, or even fences, marked the site and overgrown foxholes where 40 Americans, mostly marines, died in 1942. But ghosts were still there, kit seemed, still nearby. At least that’s how it felt to me. Our trip began in earnest the next morning, lying north to airfields in Gizo, on Ghizo Island and on Munda, on New Georgia Island, both in the Western Province. Below us, a panorama rolled past, tiny islands dotting the landscape, with equatorial rain forests inland and blue water coves on the shore. 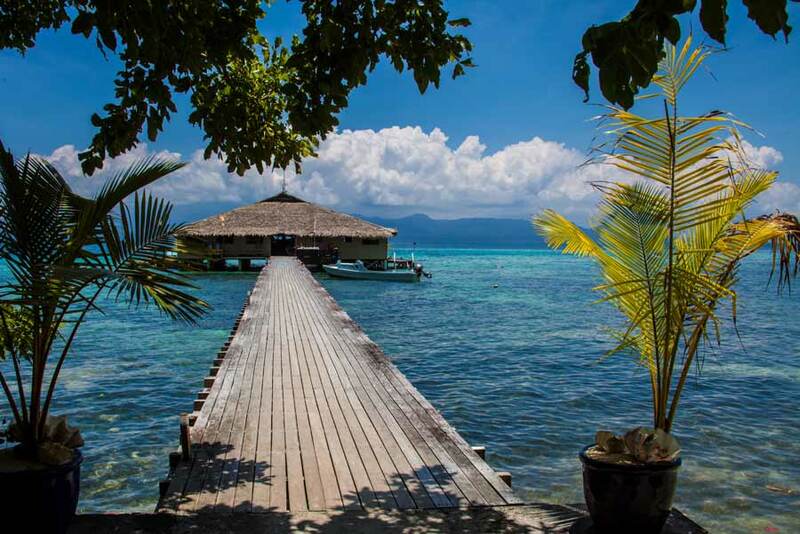 By mid-afternoon we’d arrived at Fat Boys Resort, a palm-thatched, over-water lodge, connected to the island by a 300-foot long pier. 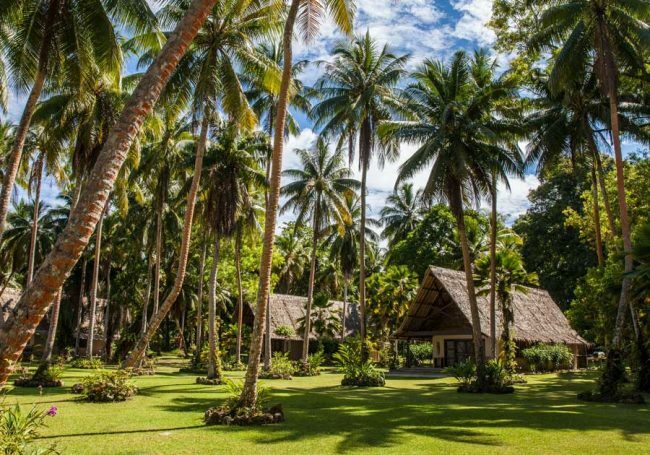 Built over deep water to accommodate motor boats and protect the shallow-water coral, it connected the lodge to five rustic bungalows on shore. Fat Boys was our base camp for the next two days: a trip to Kennedy Island where Lieutenant John Kennedy and his PT109 crew swam ashore after a Japanese ship sank their boat; and a glorious high-speed ride over big swells to a tiny stretch of sand for a grilled-lobster picnic. 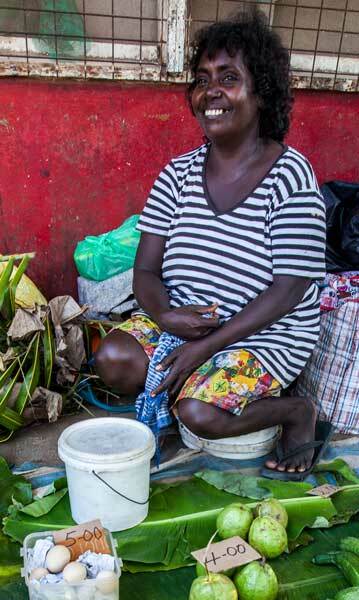 Gizo, the town, was abuzz the next morning, when we arrived for the outdoor market. Families anchored their dug-out canoes at the waterfront, buyers crowded the aisles, coins were exchanged and stall owners hailed their friends. As the only two outsiders, we felt conspicuous. But just for a minute. Everyone wanted to talk, asking where we were from and smiling for photos. Ngali nuts – the holy grail of easy-to-peel snacks – were in season, so I stocked up with a half-dozen folded-leaf bags. Betel nuts were sold, too, eaped beside stacks of taro leaves, slippery spinach (Malabar spinach) and piles of purple bananas. 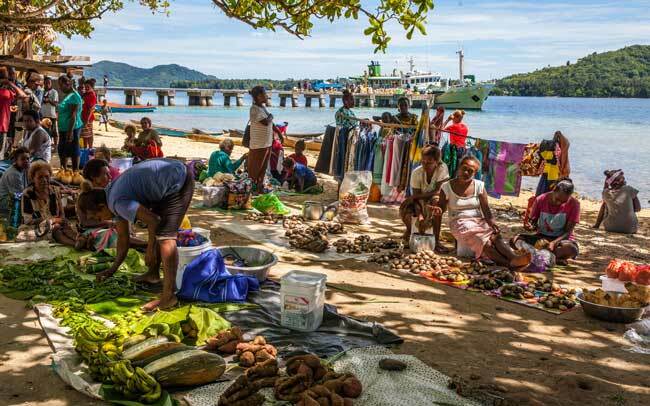 The next day, waiting for our plane at the snack shack behind the Gizo airport, I asked the man sharing my bench – he was buying betel nuts – what they tasted like. His runny eyes and red-teeth gave him away. “Do they relax you?” I asked. “Oh, no, they give you energy,” he said, smiling. He added a pinch of slaked lime (burned clam shells) and showed me how to fold the nut into a betel leaf. “One or two of these and I’ll want to get up and work all day,” he explained, grinning. Flying on to Munda, the Solomons’ dive capital, we checked into the Agnes Gateway Hotel, a modest waterfront inn priced for backpackers and divers. 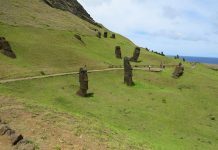 Guided by boat pilot Billy Kere – “I’m a descendant of the Roviana headhunter clan,” he said – we bounced over the waves for 40 jolting minutes to shadowy Skull Island to see the piled stone altars and a couple dozen sacrificial skulls. “Don’t worry, the headhunters are gone,” said Billy, winking. “It’s all about love nowadays. But not then. If you sin, your head comes off,” he said, slashing the air with an invisible knife. Fifteen minutes later we reached tiny Lubaria Island, the PT-boat base – now a historic park – where Kennedy and his crew were posted during the war. Ata, the ancient caretaker of the island, hustled to his tent under a tree to fetch a carved wood bust of the future president. “I hide it at night,” he said, setting it atop a monument. “It’s been stolen and returned twice.” Beyond the overgrown bushes and a row of rusty artillery, a small white hut proved to be a flush toilet, delighting all. 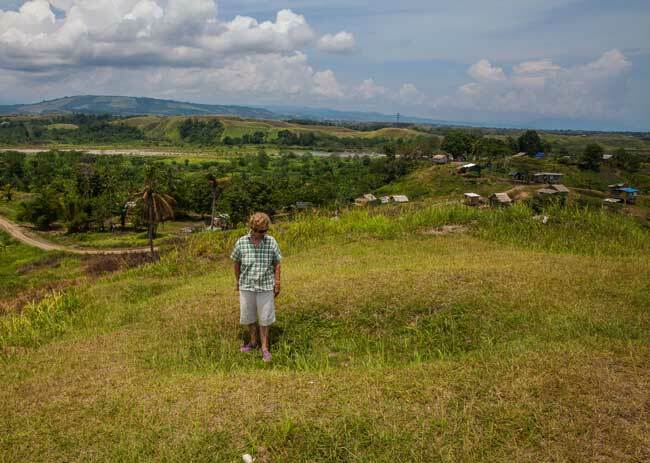 As our 16-seat Twin Otter taxied over the grass heading back to Honiara, rising low over the coast then climbing over miles of wilderness, I realized what we’d missed. Next time we’ll stay longer. 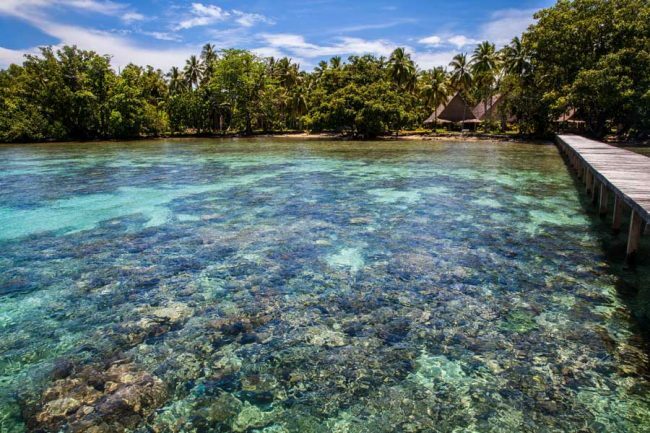 Fiji Airways flies nonstop from Los Angeles to Fiji, connecting on Solomon Airlines to Honiara, on Guadalcanal. 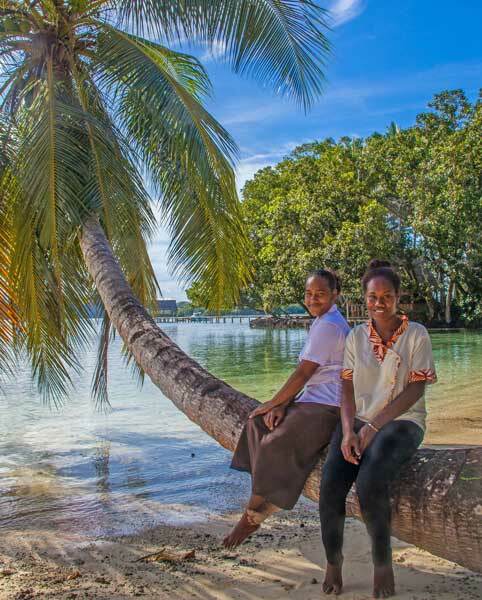 Visit www.visitsolomons.com/sb for a detailed to lodging, culture, climate, history, sports and tours. 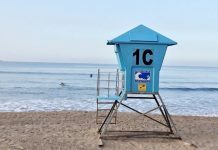 Author Bio: Writer Anne Z. Cooke, a print and online journalist, lives the life of a gypsy, following the seasons from Los Angeles to Colorado’s Rocky Mountains. In between, she travels the world, covering everything from Arctic culture and wildlife conservation to English history and family cruising, looking for the best while pursuing the back story. A freelancer and correspondent for the Tribune News Service, her stories appear in travel and lifestyle publications in the U.S. and internationally.